LegalMinds.TV features exclusive video interviews with attorneys focused on a variety of legal issues on topics such as intellectual property, corporate finance, litigation, labor and employment, securities regulation, private equity, environmental law, and more. Our goal is to provide timely content to senior corporate executives, their boards of directors and their counsel, while offering law firms a platform for showcasing their Thought Leadership and providing a marketing/business development platform to reach new clients. 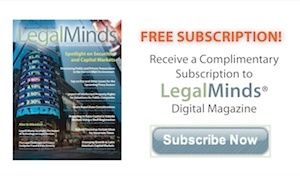 LegalMinds Media LLC is a New York City-based media company focused on the development and distribution of legal content which leverage our proprietary media assets, which include LegalMinds.TV and LegalMinds® digital magazine (legalmindsmagazine.com), as well as through our content distribution and syndication partners. 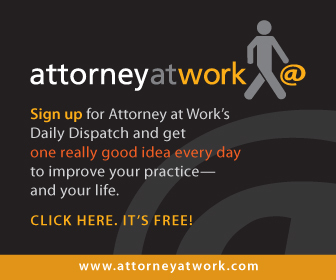 For details on LegalMinds’ Thought Leadership programs for law firms, contact Bruce Colwin. LegalMinds® is a registered trademark of LegalMinds Media LLC.